BlackBerry 8330 CDMA Curve? | BlackBerry Blast! BlackBerry Blast! > News > BlackBerry 8330 CDMA Curve? 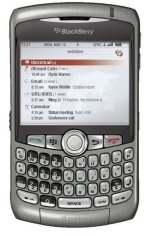 The word on the street as that a CDMA version of the BlackBerry Curve will be coming within the next few months. According to BlackBerry Sync the CDMA Curve will be announced as the BlackBerry 8330 and will include a 2 megapixel camera.